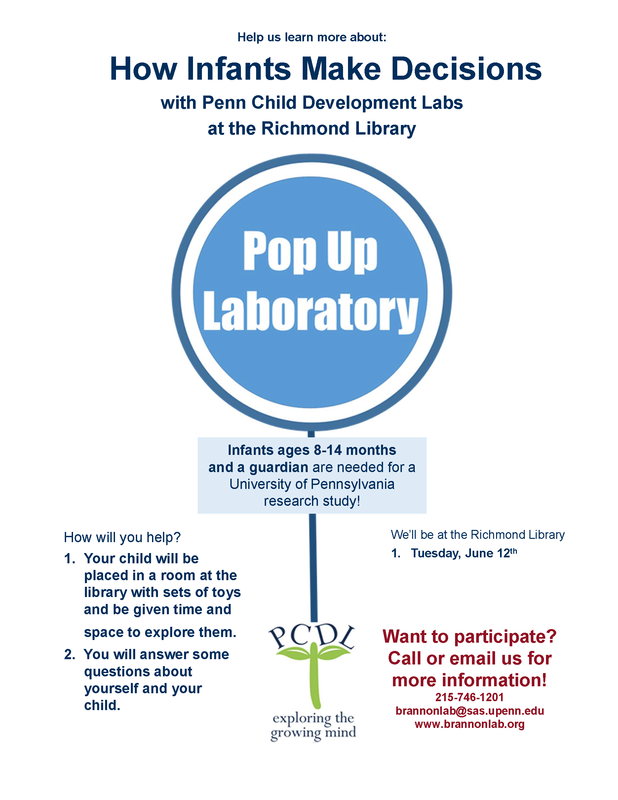 The Brannon Lab will be at the Richmond Library on Tuesday June 12th. We will be running a new research study looking at how infants make decisions and explore their surroundings. Any child who is crawling well or is newly walking can participate. This study does involve videotaping and food intensives. 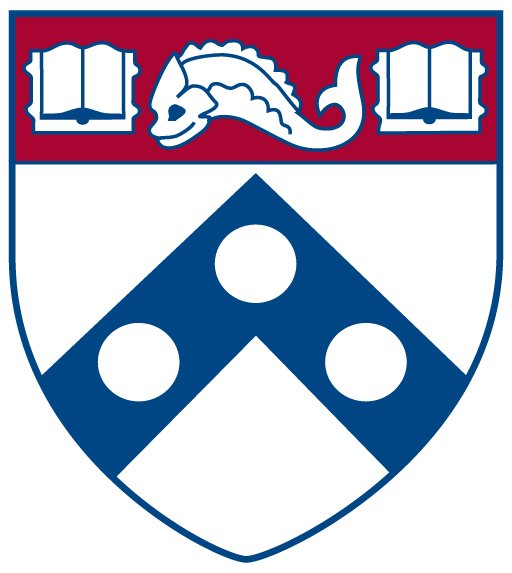 For more information you can email bzuck@sas.upenn.edu, call or text, 215-317-5374 or drop by the library tomorrow Tuesday June 12th!